I am fortunate enough to be able to listen to Glenn Beck on weekday mornings while I am working. There are aspects of his philosophy that I like, such as his devotion to the constitution and his fear of the strings attached to a free lunch. Yesterday morning, Beck was talking about how popular culture is used to fashion the masses into supporters of those in power. He advocated producing entertainment and art that would underscore the values that he supports. There is a man who was a major luminary in the Italian Communist Party named Antonio Gramsci who had pretty much the same realisation and put it to different ends. 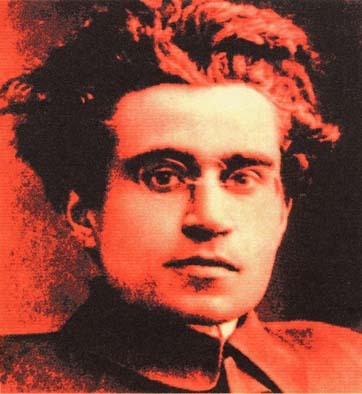 Gramsci developed the concept of cultural hegemony and believed that popular culture would have to be used and fashioned as an instrument in the development of a socialist society. Although Beck is completely opposed to Marxism of any variety, he shares with Gramsci the realisation that popular culture is a battleground for the hearts and minds of the American people. It would be easy to complain about the leftist tilt in films and music. Although there is a place for flagging negative cultural influences, Beck takes expresses his Gramscian awareness in an affirmative way, by highlighting performers whose music embodies the values he wishes to promote. There is Christian rock music, that many believers in Christianity use to strengthen themselves in their faith. It has become a respected genre in popular music. Less known is the fact that there is orthodox Jewish rock and pop music that likewise strengthens the Jewish religious commitment of its listenership. The Nachum Segal show is a good place to become familiar with this genre of Jewish music. Glenn Beck has been promoting a genre of pro American, politically conservative music. It is good for performers to produce music that underscores traditional American values, but eventually it will be seen as necessary to have music labels and movie production companies that are sympathetic to Glenn Beck, Michael Savage and other varied factions of American conservatism. As Glenn Beck leads up to his August 28 rally at the Lincoln memorial, he has been promoting some performers who will be at the event. While I have some reservations about some of Glenn Beck's economic and political ideas, his ideas about cultural hegemony resonate deeply with me. As a former communist who became disillusioned with communism decades ago, I see Beck's ideas from my own perspective. Much of what he says has a resonance of truth to it. The longer I listen to Beck, the more I like the idea of going to Washington on August 28. One of the performers promoted by Glenn Beck is Christa Branch, the wife of a Christian minister, who expresses her social criticism beautifully in music. I hope her type of music gets more air time. It is a classic example of the concept of popular culture as an arena of political struggle. Popular music with Tea Party themes is a powerful concept. When an idea has a song, it has wings as well.